This Arkansas Court Case, a "Constitutional Question" is the first of it's kind ever filed in Arkansas and is a civil action seeking to END CANNABIS/Marijuana PROHIBITION and protect his 2nd Amendment Rights in Arkansas and was filed Nov. 30, 2016. How is it that a Veteran, who took the Oath to defend, with his life if required, the Rights Guarenteed to him in the U. S. Constitution, must now fight in Civil Court, to enjoy those rights! So SAD! Reed v The State of Arkansas; Leslie Rutledge, Arkansas Attorney General, in her official official capacity as the chief law enforcement/legal officer and lawyer for the State of Arkansas. This Arkansas Court Case, a "Constitutional Question" is a civil action seeking to END CANNABIS/Marijuana PROHIBITION and protect Mr Reeds 2nd Amendment Rights in Arkansas and was filed November 30, 2016 with THE 20TH JUDICIAL DISTRICT CIRCUIT COURT OF ARKANSAS, located in Clinton Arkansas. Mr Reed personally delivered the filing of the action to the Governor of Arkansas's Chief Counsel, Mr Justin Tate the following day, December 1, 2016 at the office of the Governor in Little Rock. Robert Reed is a well known Disabled Veteran, "Cannabis Activist", producer of Talk Cannabis and Politics in Arkansas and is acting as his own counsel in this matter, as he was unable after two years to find legal representation that he could afford. He has named his action the "Cannabis Court Challenge" with #ArCCC. Mr Reed has been politically active in Arkansas for well over a decade and has held the office of Vice and State Chair of the Arkansas Libertarian Party, LP Candidate for Arkansas House in 2016, was the 1st registered citizens "Cannabis Lobbyist" in Arkansas, spokesperson for Arkansans Medical Cannabis, author of the "Arkansas Hemp and Cannabis Amendment" for 2014 and 2016 and former radio host of the Cannabis News and Information radio program that aired weekly for almost two years on KABF 88.3 FM, Little Rock. Mr Reed has for the last 6 years actively addressed the Arkansas General Assembly on the Cannabis Issue in Arkansas with no meaningful progress being made. He has stated on numerous occasions in committee meeting, and to the media that the statement "Cannabis use, possession, and distribution for any purpose remain illegal under federal law" is not only FALSE but misleading! as it pertains to the use, possession, and distribution of "Cannabis" and its use for "Medical" or any other purpose, are not only illegal, but violate the "Supremacy Clause" of the United States Constitution, and that REQUIRING him to possess ONLY prescriptions issued by a doctor who has a practice in Arkansas is a violation of his Civil Rights. NOTE: These are NOT tax deductible and you can remain anonymous. Thank You! 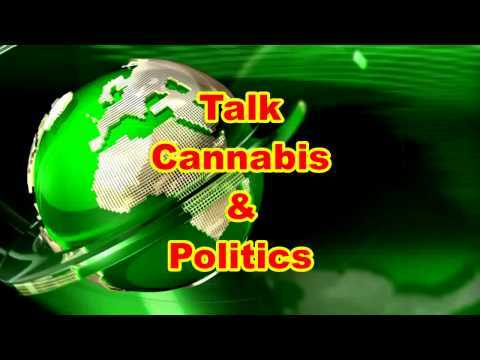 Talk Cannabis and Politics has been informing the public for over a decade on the REAL FACTS of Cannabis/Marijuana as it applies to Rules, Regulations, History and Legislation. Is Medical Cannabis Legal Under Federal Law? Cannabis as defined by the Feds!